The finishing touch to any good weld is the grinding, sanding, blending and polishing of the weld area. We sell Abmast, Sait, B-Line, Norton, CGW, Pferd, Weiler, Anderson, and 3M brand abrasive products. From cut-off wheels, to chop-saw blades, bench wheels and brushes, to cups and cones; from flapper wheels to all grits and sizes of sanding discs and wheels, we have it all! 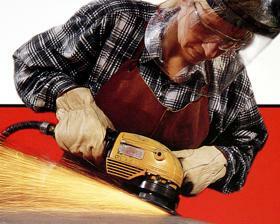 We also carry deburring tools, ¼ shafted brushes and stones for electric and pneumatic tools.